The 13th Hussars (previously the 13th Light Dragoons) was a cavalry regiment of the British Army whose battle honours include Waterloo and The Charge of the Light Brigade. British light dragoons were first raised in the 18th century. Initially they formed part of a cavalry regiment performing scouting, reconnaissance and the like, but due to their successes in this role (and also in charging and harassing the enemy), they soon acquired a reputation for courage and skill. Whole regiments dedicated to this role were soon raised; the 15th Light Dragoons were the first, followed by the 18th Light Dragoons and the 19th Light Dragoons. The 13th Light Dragoons were initially heavy dragoons known as Richard Munden’s Regiment of Dragoons. By 1751 the regiment title was simplified to the 13th Regiment of Dragoons and by 1783 they had been converted to the light role. 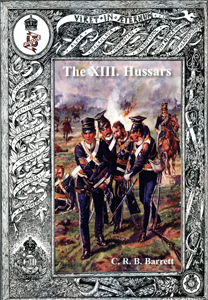 In 1861 the regiment changed its name to the 13th Hussars. The 13th light Dragoons served around the world including in the Peninsular War, at Waterloo, in India and in the Crimean War. On the 16 May 1811, the 13th Light Dragoons formed part of Beresford’s Allied-Spanish Army at Albuera during the Peninsular War. The French army, commanded by Marshal Jean-de-Dieu Soult, Duc de Dalmatie, was attempting to relieve the French garrison of the border fortress of Badajoz. Only after bloody and fierce fighting, and the steadfastness of the British infantry, did the allies carry the day. The 13th Light Dragoons, who were unbrigaded, along with the 3rd Dragoon Guards and the 4th Dragoons under Brigadier George Grey, plus a brigade of Portuguese dragoons, formed the cavalry force commanded by, initially, Brigadier Robert Ballard Long, and later in the battle by Major General Sir William Lumley. The 13th numbered 403 in four squadrons equipped with Paget light cavalry carbine and 1796 pattern sabre. On the 21 June 1813, the regiment saw action at the Battle of Vittoria; the last major battle against Napoleon’s forces in Spain opening the way for the British forces to invade France. The Allied army under the command of Lieutenant General Arthur Wellesley, Marquess of Wellington decisively defeated the French army under Joseph Bonaparte, King of Spain and brother of the Emperor Napoleon Bonaparte. Along with the 10th Light Dragoons and 15th Light Dragoons, the 13th Light Dragoons formed the 2nd Brigade (part of the right centre column), commanded by Colonel Colquohon Grant. Light dragoons before 1812 wore a dark blue, braided, dolman jacket and a leather Tarleton helmet with a bearskin crest. 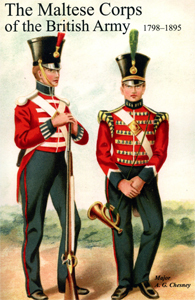 After the uniform changes of 1812, often not fully implemented until 1813, light dragoons wore dark blue jackets with short tails and a bell-topped shako. Wellington criticised the new uniform as being too similar to French uniforms and likely to cause mistakes in identification at a distance. Other battle honours of the 13th Light Dragoons during the Peninsular War include the Battle of Orthez and the Battle of Toulouse. On 18 June 1815, the armies of Field Marshal Arthur Wellesley, Duke of Wellington and Generalfeldmarschall Gebhard Leberecht von Blücher decisively defeated the Emperor Napoleon Bonaparte at the Battle of Waterloo. In total ten troops of the regiment, consisting of 895 men and 775 horses were readied for service. The 13th commanded by Lt-Colonel Patrick Doherty (later replaced due to illness by Lt-Colonel Boyse who in turn, after being wounded in the battle, was replaced by Major B. Lawrence), along with 3rd King’s German Hussars of the King’s German Legion formed part of the 7th Cavalry Brigade under Colonel Sir F V Arentschildt. All cavalry was commanded by the Earl of Uxbridge. On the 17 June the regiment was ordered to join the 5th Cavalry Brigade (consisting of the 7th Hussars and 15th Hussars) under Major-General Sir Colquhoun Grant. On the morning of the battle, 18 June, Grant moved to the right centre of the position occupied by the army, taking up its position in the rear of the Brigade of Guards commanded by Major-General Byng. Initially the brigade saw little action, however, when the French pushed forward with two columns of cavalry and infantry to force the British position, the cavalry brigade received orders to charge. The enemy broke and were pursued until other French cavalry on the left flank were detected. The brigade then retired behind the infantry until Lord Uxbridge and Lord Hill ordered the 13th forward again; this time against a square of French infantry. The enemy were completely routed, and dispersed. Our last and most brilliant charge, was at the moment that Lord Hill, perceiving the movement of the Prussian army, and finding the French Imperial Guard on the point of forcing a part of the British position, cried out, – “Drive them back, 13th!” such an order from such a man, could not be misconstrued, and it was punctually obeyed. Although sustaining heavy fire, the attack was again successful and the enemy routed. In total the 13th Light Dragoons at Waterloo suffered 99 casualties with 113 horses lost. In 1854 the regiment received its orders from the War Office to prepare for service overseas. Five transport ships – Harbinger, Negotiator, Calliope, Cullodon, and the Mary Anne – embarking between the 8 May and 12 May, carried 20 officers, 292 other ranks and 298 horses. After a troubled voyage, the regiment arrived at Varna, Bulgaria on the 2 June. On the 28 August the entire Light Brigade (consisting of the 4th Light Dragoons and 13th Light Dragoons, 17th Lancers, the 8th Hussars and 11th Hussars, under the command of Major General the Earl of Cardigan) were inspected by Lord Lucan; five men of the 13th had already succumbed to cholera. 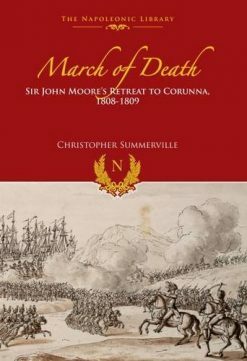 On the 1 September the regiment embarked for the Crimea – a further three men dying en route. 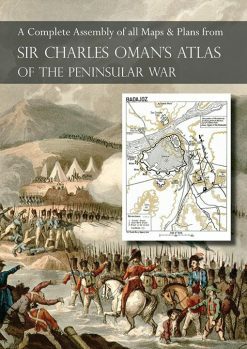 On the 20 September the regiment, as part the Light Brigade, took part in the first major engagement of the Crimean War, the Battle of the Alma. The Light Brigade covered the left flank, although the regiment’s role in the battle was minimal. With the Russians in full retreat by late afternoon, Lord Lucan ordered the Light Brigade to pursue the fleeing enemy. However, the brigade was recalled by Lord Raglan as the Russians had kept some 3,000 uncommitted cavalry in reserve.According to regimental records, by the 25 October the 13th Light Dragoons had a parade state of 128 officers and men. However, other records state the number could have been as low as 103 out of a total strength of the Light Brigade of 673. The 13th Light Dragoons formed the right of the front line along with the 17th Lancers on the left. The 13th and 17th moved forward; after 100 yards the 11th Hussars, in the second line, also moved off followed by the 4th and 8th. It was not long before the brigade came under heavy Russian fire. Lord Cardigan, at the front of his men, charged into the Russian guns receiving a slight wound. He was soon followed by the 13th and 17th. The two squadrons of the 13th and the right squadron of the 17th were soon cutting down the artillerymen that had remained at their posts. Once the Russian guns had been passed, they engaged in a hand-to-hand fighting with the enemy that was endeavouring to surround them by closing in on either flank. However, the Light Brigade having insufficient forces and suffering heavy casualties, were soon forced to retire. The 13th Light Dragoons lost three officers in the charge: Captains Oldham and Goad and Cornet Montgomery. Troop Sergeant-Major Weston, and ten rank and file were also killed. 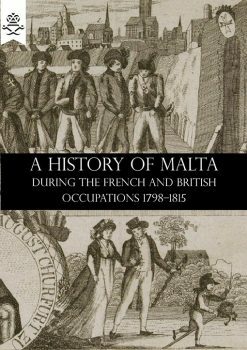 Two Troop Sergeant-Majors and 30 rank and file were wounded, while 10 rank and file were taken prisoner. However, the valorous conduct of the 13th Light Dragoons during the charge earned the regiment a Victoria Cross awarded to Lance-Sergeant Joseph Malone of the E Troop. They put us under a very heavy fire at Inkerman, but luckily for us – and no thanks to any General – we had a slight rise on our flank, which ricocheted the balls just over our heads. Some ship’s shells bowled over a few men and horses though. It was useless, as we could not act. The 13th Light Dragoons also took part in the Siege of Sevastopol, 1855, as part of the 2nd Light Brigade under Colonel George Paget. On the 8 April 1861 the 13th Light Dragoons were renamed the 13th Hussars. The regiment’s uniform also changed, influenced by the Austro-Hungarian army. However, the blues and golds were soon replaced by khaki as the regiment found itself serving in, India, Afghanistan (during the Second Anglo-Afghan War) and South Africa (during the Second Boer War). The 13th Hussars served in India and Afghanistan from 1874 to 1884, it is worth noting that in 1876 R.S.S. Baden-Powell joined his first regiment, the 13th Hussars, in India. The founder of the Scout movement also served with the regiment in Afghanistan, South Africa and on home service in England. In 1911, he would be appointed Colonel of the Regiment. The 13th Hussars participated in the Second Anglo-Boer War, 1899–1902. On 5 December 1899 the 13th disembarked at Durban, South Africa. The 13th Hussars along with the Royal Dragoons and the 14th Hussars formed Colonel Burn-Murdoch’s Brigade; part of the force sent to relief the besieged town of Ladysmith being invested by the Boers.